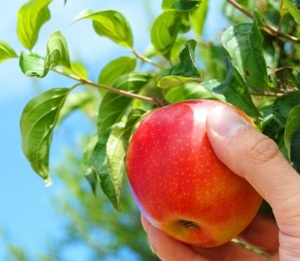 Toxic Employee Series – Part 1: What kinds of bad apples are in your bunch? The first is a new employee fresh out of school. She’s young and inexperienced and has to cope with a steep learning curve, but her academic record bears out the fact that she’s not afraid of hard work. She’s eager to learn, approaches tasks enthusiastically, and she gets along well with her colleagues. The second employee is veteran star performer. He’s ambitious, steadfast, and loves a challenge. He thrives on pressure and you can always depend on him to come through for you on tough projects. He also has a tendency to dominate conversations, and to verbally attack anyone who dares to challenge his ideas or opinions. He’s domineering, tactless, and disrespectful to other team members. Taking everything into consideration, which employee offers greater value to your company? Managers who understand the importance of morale and the dangers of a toxic work environment are likely to realize that the second employee may wreak major havoc and become a liability rather than an asset, in spite of his level of expertise. Why they’re a problem: When their criticism or unreasonable standards are directed toward others, they can deflate team morale and frustrate their teammates. When it’s self-oriented, they will find themselves stuck in a vicious cycle of setting the bar too high and then inevitably falling short of self-imposed standards, resulting in loss of motivation and self-loathing. Perfectionists take accountability to the extreme, and are unwilling to let go; they have trouble overcoming the fear of other people’s opinion, of making mistakes, and of failure. How to deal with them: Direct their energy productively. Give them a position where their attention to detail is an asset. Ask them to help with quality control, find solutions to improve efficiency and productivity, improve organization, or to take detailed notes during meetings. For perfectionists who tend to go way beyond the extra mile, clearly state what your expectations are for each project you assign them, and define what level of quality/precision is good enough. Since one of the downsides of perfectionism is trouble meeting deadlines, provide them with an artificial one. For instance, if the deadline for a project is in three weeks, ask perfectionists to have the bulk of the project done within two weeks. The extra week can be used to tie loose ends and do any necessary touch-ups. It also provides a time buffer if needed, and compels your perfectionists to stay focused because their time is limited. Why they’re a problem: They have a victim or martyr attitude, and tend to deflect responsibility for their actions and their work (or lack thereof) by placing blame on other people or uncontrollable factors. They also tend to be quite negative, always looking for roadblocks, obstacles, or problems. Unfortunately, this attitude can be quite infectious. How to deal with them: When assigning projects, involve your “gripers” in the planning process. This forces them to take responsibility and empowers them to overcome their issues. For example, ask them to put together a project plan, a list of resources they’ll need, time estimates, deadlines for deliverables, etc. Essentially, put the onus on them to determine what they need to successfully complete a task, and make sure they have everything they need to do the job well. If they continue to complain, determine whether what you’re asking of them is doable, as they may not possess the skills or knowledge to complete the project. At this point, you can either give them training or will need to consider dismissing them. Why they’re a problem: They have a tendency to take control of situations, anytime, anywhere; they have to be the one running the show. They also find it hard to ask for help and don’t take criticism well. While you may recognize that they’re an asset because of their tenacity, determination, resilience and ability to get results, you also rue it. What makes an alpha a star performer can also make him or her a liability. How to deal with them: Telling an alpha that what makes him/her an asset could also come at the cost of peer and subordinate relationships isn’t enough. Your feedback and recommendations for improvement are likely to go over more easily if you have the proof to back up your claims. A 360˚ feedback system, for example, allows peers, direct reports, managers, and even clients to rate a person’s performance and effectiveness. The point is that you’ll be speaking in a language that alphas can understand. It will likely be more difficult for an alpha to refute negative feedback and the consequences of his/her behavior when it’s translated into numbers and objective observations based on feedback from a number of people. Make sure to structure improvement as a goal to achieve. For example, let’s say that your alpha has a tendency to push subordinates too hard, and upper management has been receiving complaints. Bring it up with the alpha, but put it across as a general organizational issue that you would appreciate advice on. “Employee motivation has been low lately. Employees are feeling overworked and underappreciated. We’d be grateful for any ideas you might have on improving morale, and reducing the ‘us vs. them’ mentality that seems to be developing.” (For more tips on how to coach alpha males, click here). Why they’re a problem: They fail to carry their weight in team projects, forcing others to pick up the slack. They also tend to miss deadlines, and are generally unproductive. They often engage in cyberloafing (using company time for personal web-surfing and emailing) and drive employers nuts with excessive use of smart phones, prolonged chitchats with co-workers, daydreaming, hiding out in the restrooms and other forms of idling. They avoid responsibility, lack initiative and creativity, and generally do their best to lay low and out of sight. This attitude has a tendency to either frustrate their teammates or, even worse, rub off on other workers, especially if you let them get away with it. How to deal with them: The first step is not to hire slackers if you can help it … do your reference checks, give them personality and attitude tests, ask probing interview questions about what motivates them and what bugs them. Make sure they are a good match for the job and for your company culture. If you already have slackers on your team, find out what motivates and demotivates them. Figure out what type of projects or assignments they prefer, and humor them if it’s possible - without being unfair to others. Ensure they understand their role, and how it fits into the grand scheme of things. Review their task list with them, and look for redundancy, inefficiency, and red tape. In some case, you can turn things around by helping them to get excited about their job, and removing some of the blocks to their enthusiasm. Give them another chance by putting them on a performance plan and make sure to do a lot of planning when assigning projects to them. Break projects down into reasonable steps, and check in on your slacker’s progress more often. If all of this fails, it is probably time to cut the cord. Stayed tuned for Part 2 of the Toxic Employee Series. If you’re interested in using assessments, request a free trial for ARCH Profile here. Want to learn more about using psychological tests for hiring, leadership development, career development or talent retention? Download our free eBook loaded with down-to-earth information about psychological testing for HR purposes.